A plan to develop a major arts district and “eco-city” outside Beijing was announced by Guangdong Yuegang Investment Development on Thursday at the 16th Venice Biennale. 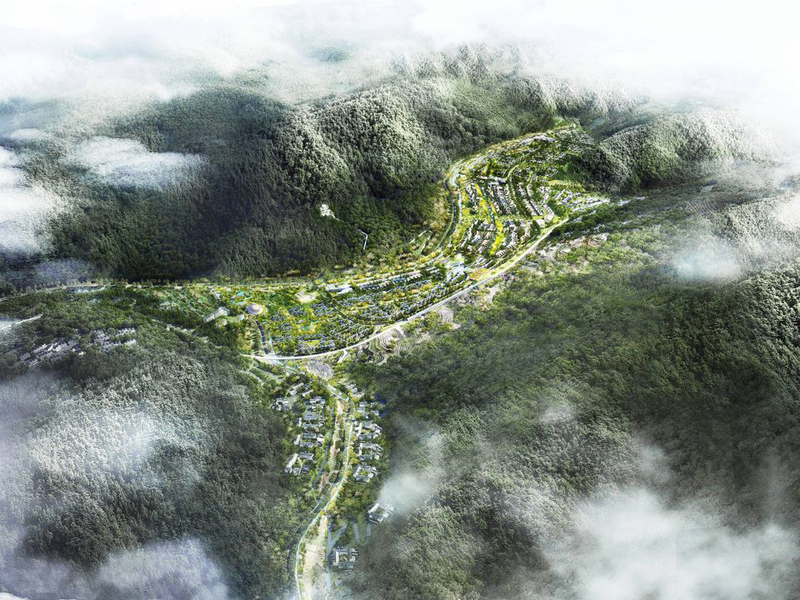 Located in the Xinglong Valley, just 20 minutes from the city by high speed rail, Valley XL, as the project is being called, will feature a museum, an art park, arts education centers, and artists’ studios, as well as residential and commercial developments. The nearly 1,000 acre development is being overseen by Arquitectonica and the first building to open in 2019, the 8,500-square-foot Valley XL Art Center, a performance space, will be designed by Wang Zhenfei. Along with a center for modern and contemporary art, the Valley XL Museum, the Art Center will be a focal point of the development. The Art Newspaper reports that curator Li Zhenhua will be the advisor to Valley XL and the artist and filmmaker Ju Anqi will be the project video director. Valley XL is a partner of China’s 2018 pavilion, this year themed Building a Future Countryside, curated by Li Xiangxing. The pavilion is focused on the tensions—and innovations—present in the rapid modernization of the once or still rural areas of China. The pavilion presents projects that are being built or have taken place in the countryside over the last several years through installations organized by Dong Yugan, Zhang Lei, Liu Yuyang, Hua Li, Rural Urban Framework, and Philip F. Yuan. Construction on the $2.8 billion planned city, developed by Guangdong Yuegang Investment Development in partnership with Shenzhen XL Culture Development, is expected to begin the second half of this year.